TOKYO, Dec 21, 2018 - (JCN Newswire) - Fujitsu has announced the Japanese launch of the second generation of its Fujitsu Quantum-Inspired Computing Digital Annealer Cloud Service. 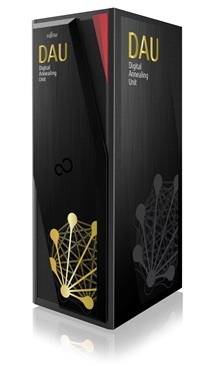 The service utilizes Fujitsu's unique Digital Annealer architecture to quickly solve combinatorial optimization problems, drawing on an innovative design inspired by quantum phenomena. The second generation of the service expands the scale of problems that can be solved from the 1,024 bits of the first generation, launched in May 2018, to 8,192 bits, leading to substantial gains in precision and performance for enhanced problem-solving and new applications. Fujitsu plans to roll out the service to North America and Europe during fiscal 2018 (Fujitsu's fiscal year ends March 31), and thereafter to the rest of Asia as well. The second generation service can be applied to increasingly complex real-world problems in businesses and society, including manufacturing, financial services, retail and distribution as well as drug discovery, and can be expected to see use in various industries and fields. Fujitsu Laboratories Ltd. developed the Digital Annealer as a dedicated architecture for solving combinatorial optimization problems, which involve finding optimal solutions for real-world problems in which large numbers of potential combinations exist. In May of this year, Fujitsu Limited launched a cloud-based service using this architecture to solve problems of a scale that could be expressed in up to 1,024 bits. 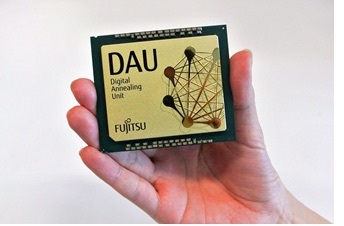 As it was necessary to improve the scale and precision of the technology in order to handle larger scale, more complex problems, Fujitsu developed the next generation Digital Annealing Unit (DAU), a dedicated processor for the Digital Annealer that makes use of ultra-high-density circuit integration technology refined through the development of high-performance processors. This breakthrough development has expanded the scale of the number of connections between bits from the current 1,024 to up to 8,192, and the coupling precision from 16 bits of gradation to a maximum of 64 bits, for 18.45 quintillion gradations. These enhanced performance specifications allow for the application of this technology to solve even larger scale problems - previously unsolvable, while also dramatically improving processing performance by a factor of 100 compared with the existing first generation of the Digital Annealer. With the next generation service, the Digital Annealer technology can be applied to more complex problems, including the optimization of production lines for entire factory floors, or drug discovery focused on intermediate-sized molecules. Customers will be able to use the second generation (maximum of 8,192 bits) Digital Annealer via the internet with Fujitsu's Digital Annealer Cloud Service, as well as the Digital Annealer On-Premises Service, through which servers are installed in customer datacenters for onsite usage. Going forward, Fujitsu aims to provide support for even larger scale combinatorial optimization problems of up to 1 million bits through technologies like the problem segmentation technology(1) developed by Fujitsu Laboratories, thereby contributing to new business applications in a wide variety of fields, such as drug discovery, chemistry, transportation, finance, and logistics. In addition, Fujitsu plans to expand the use of the Digital Annealer in various regions, under the lead of Fujitsu Intelligence Technology, a new company developing Fujitsu's global AI business that began operations in Vancouver, Canada, in November 2018.